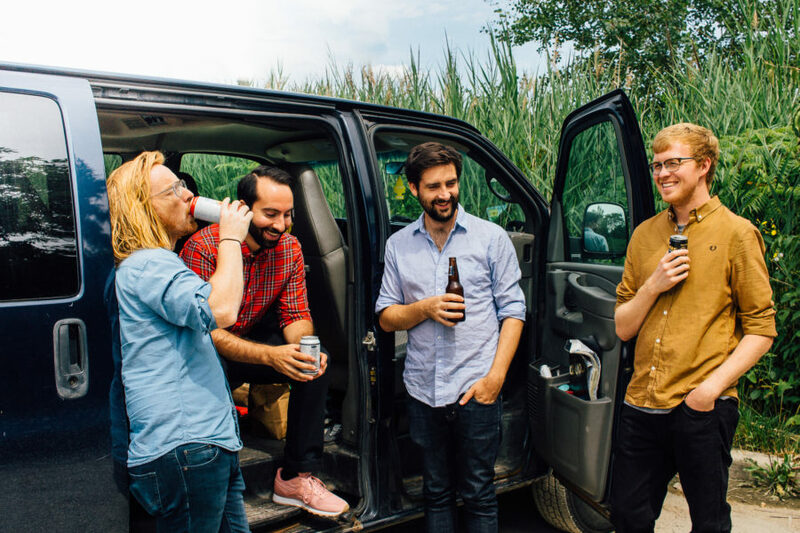 Pkew Pkew Pkew be might beer chugging skate punks, but they’re smarter than you think. The Toronto band write the simplistic catchy punk tracks everyone wants to scream along to (see also: Iron Chic and The Bouncing Souls), but you won’t just be screaming nonsense. Their tracks carry emotional weight, whether that be joy, mania, or bitterness, and the song are well written in a way that lets you know they respect the craft. Earlier this month, Pkew released a single “65 Nickels” that’s another full on jam and a perfect example of what they do best. By the end of the track you’ll find yourself yelling, “I’ve got 65 nickels in my pocket / For everything you put me through” at whoever as wronged you most recently. But what’s a fun punk track without a silly music video, so the band got cracking and today we have the sweet new video to premiere for you!